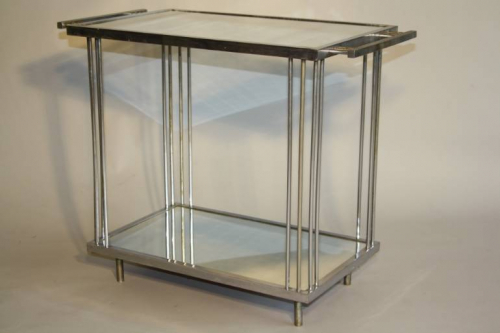 A lovely classic silver metal and mirror Art Deco two tier side table. Slight signs of aging to the metal and the glass but overall in good condition and as you would expect for such a piece from 1930`s. An elegant style.